For centuries and right up until 1901, the tallest buildings in the world were always either a church or cathedral. Going right back to 1200, Britain held the distinction for the tallest buildings in the world, with the “old” St Paul’s Cathedral in London holding the title with a spire of 149 metres. The record was relinquished to Lincoln Cathedral in 1300, when the spire of the new great church measured in at just short of 160 metres. All these measurements were open to debate and many disputed the accurate height of these magnificent buidlings. The central spire collapsed in 1549 and the title was lost to various European cities including Stralsund, Strasbourg, Rouen and ultimately Ulm, which held the title until 1901. From 1901, the title for world’s tallest building was always held by secular buildings and for almost the whole century was a building in the USA. Philadelphia City Hall was the tallest habitable building in the world from 1901 to 1908 and then the trophy passed to New York with buildings such as the Singer Building, the Metropolitan Life Tower, the Woolworth Building and the Chrysler Building. In 1931, perhaps the most well known skyscraper in the world, The Empire State Building, took the title at 381 metres and 102 floors. In the years since, the iconic building has slipped to number 22 in the world. The USA nearly held the record for the whole of the 20th century, but lost the crown to The Petronas Towers, also known as the Petronas Twin Towers which are twin skyscrapers in Kuala Lumpur, Malaysia. It held the record for 6 years until 2004 at 451 metres. Taipei 101, formerly known as the Taipei World Financial Centre, is a landmark skyscraper located in Xinyi District, Taipei, Taiwan. It has 101 floors and stands a magnificent 509 metres tall. It held the record from 2004 until it was eclipsed in 2010 by the Burj Khalifa, in Dubai, which reached a massive 829 metres and has an almost unbelievable 163 floors! As long as there is an insatiable desire to build at height and with our rich heritage of amazing buildings it will mean that the craft of being a steeplejack will remain in demand. We specialise in historic buildings, monuments and churches and although we have much experience at working a height, perhaps the 829 metres of the world’s tallest building might be one step too far up the ladder! In 1980 the former Moseley Road Church of Christ and the Parish Church of St. Paul in Balsall Heath in the south of Birmingham jointly conceived and built a new church and day care centre building. 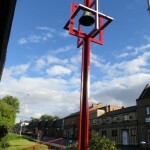 The new building used the original bell from St. Paul’s church in a unique campanile on the Edward Road entrance to the church. The campanile was formed using an arrangement of rectangles which gives the impression of a cross from all viewing angles. The campanile is still used as a logo by both churches and the day care centre. High Level Maintenance were asked to restore the paintwork on this unique structure back to its former glory and you can view some pictures of the work in progress here. Our services provide a complete solution for working at height including both conventional scaffolding and specialised rope access techniques. Rope access is a cost effective solution, ideal for those ‘hard to reach’ places or where disruption needs to be kept to a minimum. Our high level work provides a unique perspective of our national landscape with views that few are privileged to see. Our range of case studies show some of these amazing views. 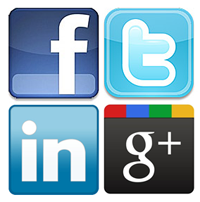 You can now connect with us on Social Media through Twitter, Facebook or Google+. Our updates will include news and case studies and pictures of some of the amazing buildings we have been privileged to help preserve for the future. High Level Maintenance Ltd recognises the importance of using lime mortar in the restoration of historical structures. Lime mortar offers many advantages over modern cement. Lime mortar is softer, more porous and is flexible, thus allowing the structure to accommodate minor movements over time. It is permeable allowing any moisture and dissolved salts to freely move into the joints where water can readily evaporate and the salts crystallise without causing significant harm. We also regularly use Helifix HeliBars to repair defective masonry. These are fully concealed once installed and their use avoids the need for expensive and disruptive taking down and rebuilding. It also means that there is little disruption to the building’s fabric or occupants. Repair, replacement and repainting of all types of louvre openings, plus the fitting of bird nuisance deterrent solutions. Visit the dedicated page to read more about our bird nuisance protection services. Quick and safe access to clock faces and weather vanes for cleaning, painting and re-gilding. We can also design, manufacture and install new weather vanes, together with the associated lightning protection required. Annual maintenance and inspection of gutters and discharge pipes preventing blockages and associated water damage. Repair of blocked, damaged and failing lead work. Essential prevention.